Children release a burst of laughter as they chase each other through the grass of Ganesha Park. People talk amongst themselves and eat hot dogs and chips under the swampy sunlight of a California spring day. Suddenly a distinct sound is heard, the rhythmic thump-thump-thump of a beating drum. 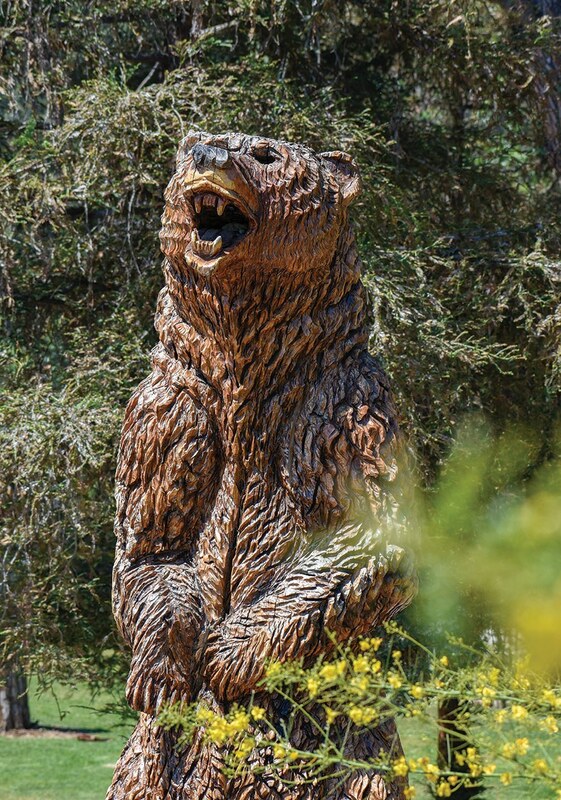 People quiet and begin to gather, slowly making a spectator’s circle around a colossal wooden sculpture of a California Grizzly bear that silences the sun behind it. Dancers begin to move their way around the wooden creature. The ceremony has begun. Who would have thought that a conflict larger than that bear smolders behind the smiles and the laughter? The story begins at Ganesha Park, at the base of a gated community without the gate. It is an affluent neighborhood with welcoming scenery except for the “do not enter” and “no parking” signs at its entrances. However, this land (now half-park, half-neighborhood) was once called “Toybinga” to the local Native American tribes, not Ganesha, and was once a sacred village and burial grounds, not a place of swimming pools and jungle gyms. Here is where Debra Martin, a council member from the city of Pomona, spearheaded the project to convert dead drought-killed trees in Ganesha Park into beautiful wood statues as a dedication to the indigenous tribes of the area. She thought it was harmless, easy and a simple, meaningful gesture. It was supposed to be a community effort that involved the Boy Scouts, who laid the foundation, and a famous Irvine-based wood carver who converted the dead trees into works of art. “Every part of this endeavor was filled with the heart and soul, for the healing of Pomona,” Martin said at the 2017 dedication ceremony. 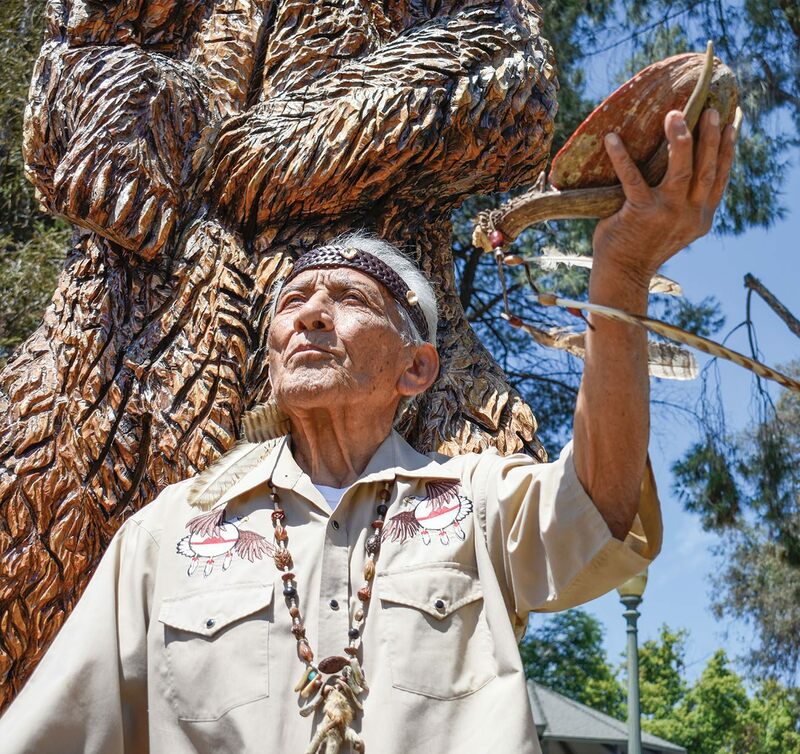 But the project opened up a world of unforeseen trouble that put the Pomona Council members in the center of a semantics wrestling match with members from the Kizh and Tongva tribes over which tribe should be named in the dedication plaque as the “true tribe” of Pomona. The smoldering conflict, however, is not among the Pomona Council members, the Ganesha Hills residents and the tribes; instead, it is between the two feuding tribes, their relationship with each other, and their claims to their heritage. Days stretched to weeks as all parties made their case on why their tribal name should be the one embossed in bronze on that shiny plaque near the bear. Finally, they all came to the agreement of using the word “Gabrieleños” to encompass both tribes. But Gabrieleño is not a name the Kizh or Tongva ever identified with before European influence swept over them. Before European settlers came to the California area, indigenous people identified themselves by the types of houses they lived in. The materials that gave them shelter from the harsh wilderness were much more valuable than anything else. Kizh, meaning “willow house,” was the resource people specific to this San Gabriel basin built their houses from, and distinguished them from neighboring tribes. It was their identity, the sole resource that they built their lives around. Willow even had spiritual significance, representing the women of the tribe who were considered the backbone of their society. Willow was known for its tensile strength, always bending but strong enough to never break. When the Europeans first arrived in 1771, they stepped foot in the Native American village the Kizh recognized as “Shevaangna.” Today, that same small community, located in Rosemead, is called “Savannah.” Under the direction of Father Junipero Serra, this area in the Whittier Narrows was to be the site of the La Mission Vieja (“Old Mission”). But flash floods soon wiped away the chapel made of willow and forced the Europeans to seek higher ground where they eventually built the San Gabriel Mission, formally known as the village of Toviscanga. After moving to this higher ground, the Kizh, or Kichirenos to the Spanish, were put to work to build the present day San Gabriel Mission. The Kizh, from this point on, were given the name Gabrieleños by the Spanish, named after the mission they worked to build. Soon the name of the Kizh was buried just as quickly as it had been discovered. Years later, as the Kizh were assimilating to their new culture in the missions, they found ways to pass on their native traditions. Around hearths, elders told warm stories of the lands and settings their descendants would never get to live or experience for themselves. They treated illnesses with home remedies made from natural resources that once sustained whole societies. Despite being surrounded by the Spanish and their culture, the Kizh kept parts of their past alive and moved their heritage forward. Fast forward to 1903 when an anthropologist named Clinton Hart Merriam traveled to the San Gabriel Mission in hopes of recording the history and languages of the indigenous peoples. He asked the missionaries to point him in the direction of someone he could speak to. At the time, being native American or even using the word “Kizh” or “Kichereño” had a connotation that even the Kizh did not want to be associated with. Instead, the indigenous people referred to themselves as Mexican in an effort to evade detection. 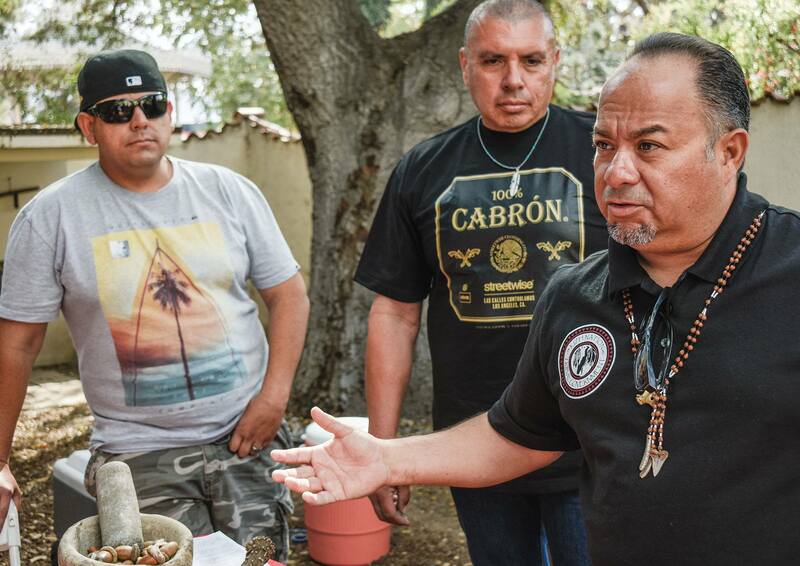 Although the elders, specifically Ernie Salas, who was the tribal spokesperson for the Gabrieleño Tribal Council, had never heard of the name “Tongva” before, they hesitantly took on the proposition from those in higher education because of the promise of federal recognition. 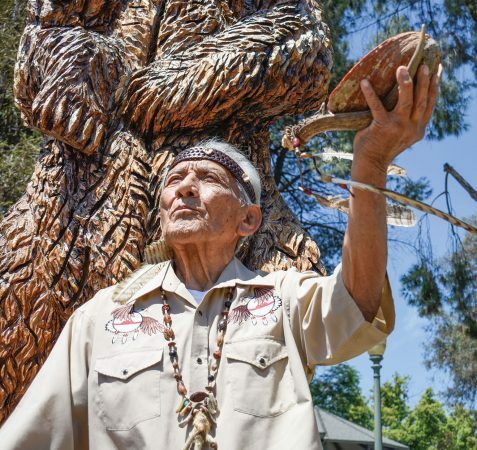 The springs were saved under the name “Gabrieleño/Tongva Springs Foundation.” For a year, Ernie was the spokesperson for the cause, giving lessons at the springs about Gabrieleño culture under the name Tongva. Suddenly, the requests stopped, and contact between the foundation members and the Gabrieleño Tribal Council became “stand-offish and very cold; we used to have get-togethers, and then it was like they got what they wanted; they didn’t want anything to do with us anymore,” says Nadine Salas, treasurer of the Gabrieleño Tribal Council and daughter of tribal spokesperson Ernie Salas. No federal recognition was ever pursued, and the Gabrieleño Tribal Council, or Kizh, again were stuck with a name that was given to them by others outside of their culture. This re-instituted use of the abbreviation of “tonve” or “tonvey” to “Tongva” made its way through history and into academia where it has been popularized over the initial name of the Kizh people. Today, the Kizh are trying to regain the history that was stolen from them because of this miscommunication. 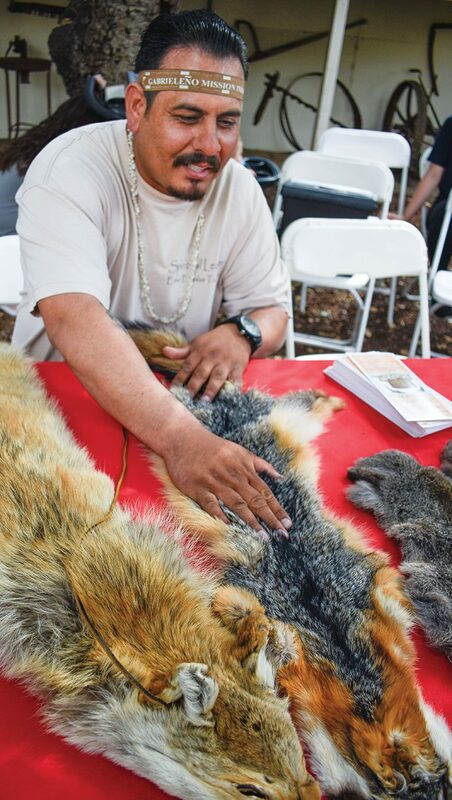 “When you just throw it out into the universe, and it sticks, you go with it, and that’s what happened with the Tongva,” says Matt Teutimez, the Kizh tribe’s biologist who works toward preserving old medicinal traditions using modern techniques. To the Kizh, the name Tongva emanated from nothing more than words lost in translation, and this has caused serious distortion to their history and culture. Matt Teutimez, Christina Swindall Martinez, Andy Salas and his father Ernie Salas, all members of the Kizh nation, by family relation, were born in the areas called Toviscanga and Shevaangna. To this day, they still call this place, located five blocks east of the San Gabriel Mission Village of Toviscanga, home. They all have detailed and certified confirmation records to prove they are direct descendants to the Kizh people. These key family members have been the main force in helping the tribe attempt to regain its fragmented history and to receive federal recognition. Presently, there are 350 Kizh tribal members who have all been traced and meticulously recorded by genealogists through research of censuses, written accounts, ethnographies, baptismal and confirmation records­­—most meticulously collected during the past century. The genealogy book documents the kindling behind the smoldering conflict. It carefully lists members of the Kizh Tribe; however, there are many members now in the Tongva Tribe who are not listed in this genealogy, yet claim to be direct descendants of people who once lived in this area. After their meticulous research, the Kizh do not find these same Tongva individuals to have historical claim to their native lineage. Nevertheless, there are people who consider themselves to be Tongva and not Kizh, and that they do have claims to land and history through their Tongva lineage. The Gabrieleño Tribal Council/Kizh were given recognition from the state of California in 1994, but the Tongva have not. Multiple attempts to contact Tongva representatives have gone unanswered. The Kizh are still in the process of applying to receive federal recognition. They have petitioned before, feeling they had met all the requirements. Receiving such recognition is no easy task. To apply for recognition the tribe must show substantially written and verified anthropological, genetic and historical documents proving direct relationship to confirmed native people as far back as the written record can show. They must also show that they have maintained a tribal entity throughout the years to the present day. Following all the steps, however, does not mean a tribe will be given recognition. The odds are not in their favor. More than 400 applicants may apply, and only one tribe may be awarded recognition in a given year, says Christina Swindall Martinez, a veterinarian and also the Kizh Nation’s secretary. Regulations through the Bureau of Indian Affairs have recently changed, even becoming more stringent, but the Kizh submitted their evidence in Washington D.C. before the laws had changed. Despite this, six months after the submission, the Kizh called the BIA only to find out that their application had been denied because it did not adhere to the new laws. “Imagine doing your thesis for your Ph.D., and someone says you have to rewrite the entire thing,” says Christina. The only other way to bypass the recognition process is by being granted an Executive Order signed by the President. But giving recognition can also be a political and financial game. “Do you think Morongo, Pechanga want a casino in L.A. County?” But the Salas family does not want a casino. “We don’t want [a casino] either. That money is not our priority. We want to be a self-sustaining tribe, independent of any gambling. We’ve said before that we’ll sign anything; we’ll sign anything saying we will not build a casino here, but that’s what they’re afraid of,” says Christina. The Kizh continue to work re-writing their application to send to the BIA once again. The Kizh Nation is working to create lesson plans to give to local schools that include history of the local tribes in order to start repairing the misinformation in academia at the source. They also want to be able to help other legitimate tribes become official and mostly to have a say in what happens to their land and their people. “There are folks trying to identify themselves with our blood lineage, that simply can’t, and our tribe who can. We still get pushed aside and marginalized because these other voices seem to be louder,” says Matt Teutimez. “Going back to Ganesha, I got the feeling I had to be there. It was a calling for me and a coincidence to be there from the beginning when they first asked me for the history of my culture to put on these plaques. 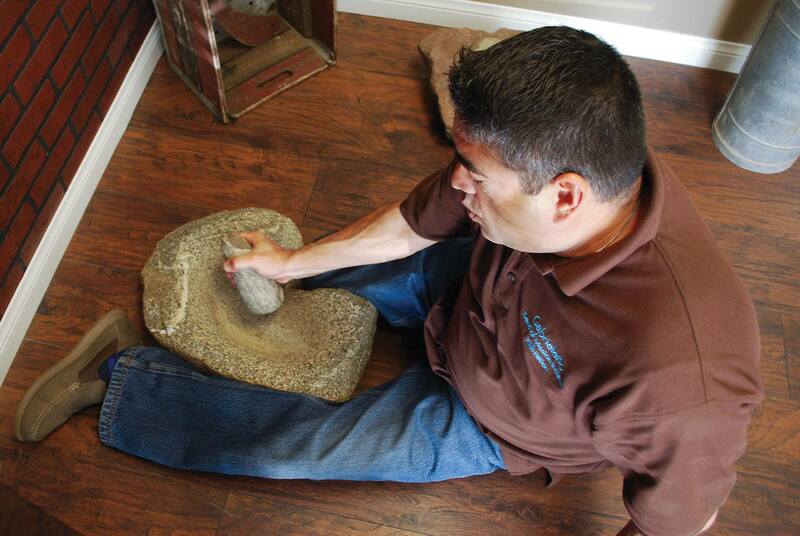 I am the voice of both the living and the dead ancestors,” says Andy Salas.